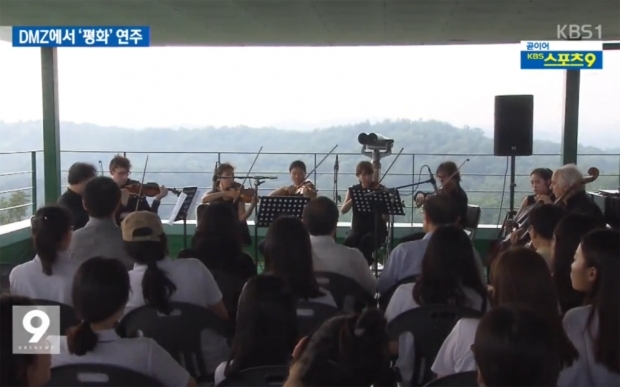 Congratulations to viola professor Erwan Richard and his 3rd-year student Lee Hyun Kyung who performed together Thursday at a Concert for Unification at the DMZ during the 5th Yeoncheon DMZ International Music Festival. (from right) German School of Music Weimar viola professor Erwan Richard and his 3rd-year student Lee Hyun Kyung perform at a Concert for Unification at the 5th Yeoncheon DMZ International Music Festival. 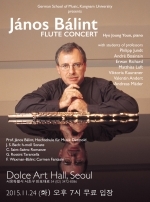 Read about the event in English at The Kangnam Hakbo. You can also see video news coverage online by KBS and JTBC.